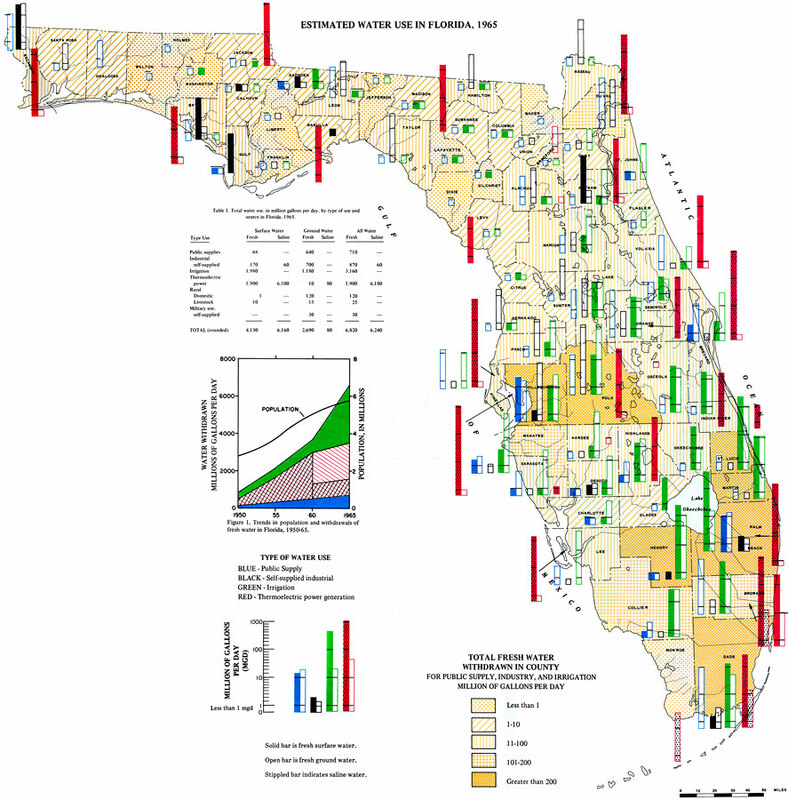 Starting with the water usage map from 1975, the teacher can provide a current map of water levels and guide students through comparison of the two maps. Determine if there is a percentage increase and compare population data from that time. Make a prediction for what the water use will be in 40 years. Create a powerpoint presentation describing the historical information and the predictions. Combine with water conservation tips and strategies and have the students present it to the school/parents' night, etc. College of Education, University of South Florida ©2005.